These mashed potatoes are VERY GOOD. We have made them three or four times now and this is the first time we have gotten around to taking a picture because we have been more focused on eating them. 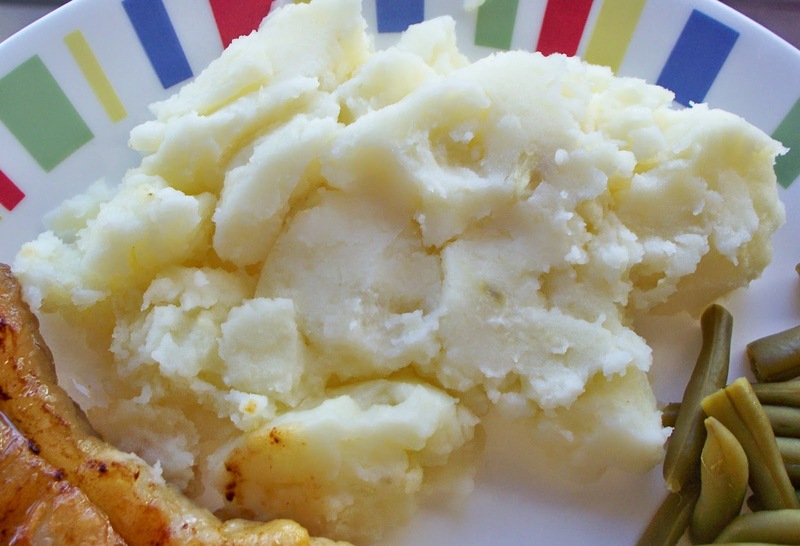 If you are having a meal where you could have mashed potatoes with it, you should make these mashed potatoes to go with it. You don't need to peel the potatoes, but Jess thinks that it is better when you do so. Put the potatoes and garlic in a pot and cover them with enough water so the water is at least 1 inch higher than the potatoes. Bring the water to a boil, then let them cook for 20 more minutes. Drain the water from the pot and mash the potatoes and garlic with a potato masher. Mash in the butter, and slowly mix in the milk until you reach the desired consistency. It is possible that you will not use all the milk. Mix in the sour cream and serve. The best part is you can whip up a batch of these in about 30 minutes, with only a bit of prep time at the beginning and mashing time at the end.